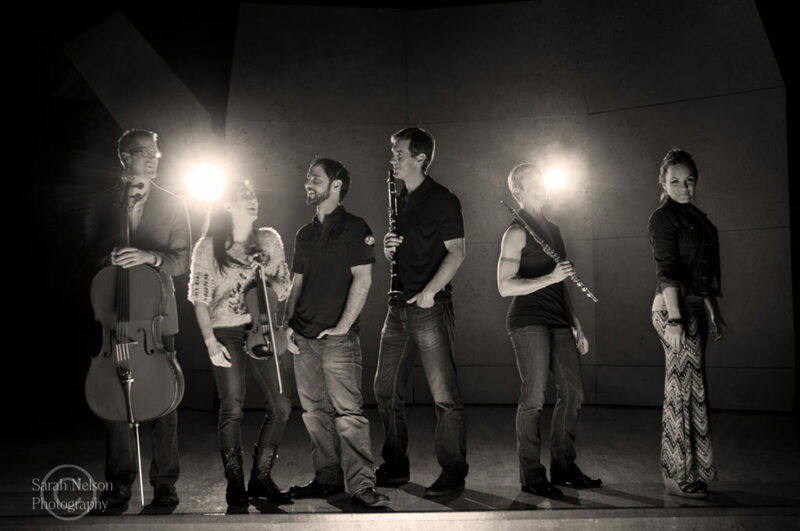 Sacramento’s modern chamber ensemble Citywater is excited to be making their C4NM debut! Currently Ensemble-in-Residence at CSU-Sacramento, Citywater has been hailed as “a top-flight interpreter of contemporary classical music” (Sacramento Bee) and is in their 7th year of performance. This concert will feature a series of world premieres for sextet, including works by Garrett Shatzer and Nick Deyoe. Garrett Shatzer will be composing a piece that will see Citywater joined by blues guitarist Greg Glazner and jazz/gospel vocalist David Saul Lee. Glazner — a Walt Whitman Award-winning poet whose work has been published in numerous leading publications, including POETRY and Ploughshares — is writing a text specifically for this work. The text remodels the traditional blues lyric in a contemporary poetry setting, and the music will similarly remodel the blues in a contemporary classical setting. At the Blinds grew out of a conversation I had with poet/guitarist Greg Glazner. Our mutual respect for each other’s art led us inevitably toward talk of collaboration, but we couldn’t quite figure out how to make that work. The easiest way for a composer and poet to collaborate, of course, is for the composer to set the poet’s work. However, we felt very strongly about incorporating Greg’s “musical art” as well – the blues. Eventually we hit upon an idea: Greg would write a series of poems that interpreted the traditional blues lyric via contemporary poetry, and I would then set the poems while interpreting the blues via contemporary composition and art song. Additionally, we decided that the music would feature elements of notated classical composition and improvised blues playing throughout…for every member of the ensemble. This mixing of genres requires musicians adept in both worlds, and I am incredibly fortunate to have the wonderfully skilled and passionate Citywater New Music Ensemble as “the band.” And there was only ever one singer I had in mind to bring it all together – the musical polyglot David Saul Lee.